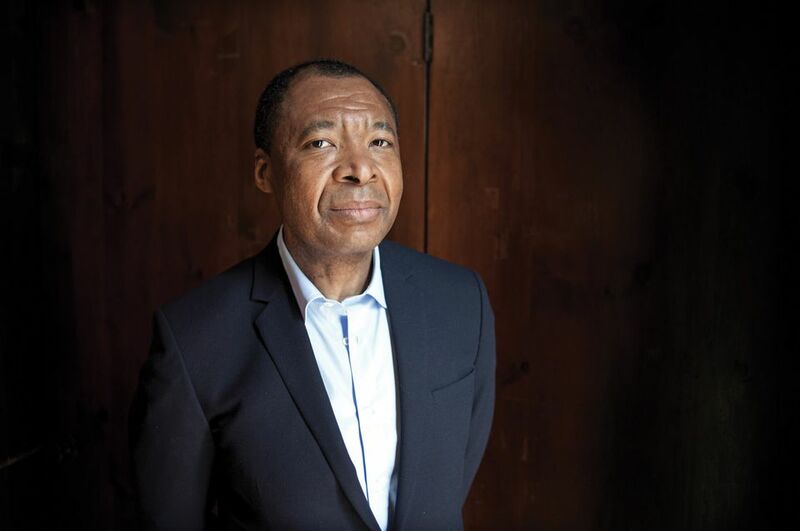 Okwui Enwezor, who died aged just 55 in March, was only the second person to be the artistic director of the two most important international cyclical exhibitions: Documenta in Kassel, which he curated in 2002, and the Venice Biennale, in 2015. Like Harald Szeemann, the only other person to have achieved that feat, he is justly remembered as one of the most influential curators in history. Enwezor’s Documenta had the most seismic effect. Though the previous curator of the Kassel exhibition, Catherine David, had already started to unravel the hegemony of artists from northern Europe and the US, Enwezor’s show was the first that one could call genuinely post-colonial. But it wasn’t just the greater global balance and the consequential broadening of thinking and aesthetics that made Enwezor’s Documenta so influential; it also ushered in formal shifts, particularly in the wealth of long-form film and video and in the documentary and archival nature of much of the work. It was, for many, evidence of a vital fissure between the object-based contemporary art that dominated the auction rooms and commercial galleries and a strain of art that seemed to thumb its nose at the market. Many of the works were overtly political in nature, leading some commentators to express concerns that theory would triumph over visual power. Yet no one who saw, for instance, the unexpected juxtaposition of Doris Salcedo’s stark, solemn sculptural response to Colombian violence and images of torture by Leon Golub could accuse Enwezor of being incapable of dramatic visual moments. Enwezor was insistent that politics and art were not mutually exclusive. “There’s always a misunderstanding, as if the socio-political cannot have aesthetic authority, cannot be experiential and powerful, engaging and enduring,” he told me when I interviewed him ahead of the Venice Biennale in 2015. This year’s Venice Biennale director, Ralph Rugoff, is also keen to resist a monotony of the same. Just as Enwezor saw in 2015 “a global landscape that again lies shattered and in disarray”, Rugoff has said of his show, May You Live in Interesting Times, that “I ended up zeroing in on… the emergence of very strong divisions in society and social discourse”. And the artists he has chosen respond to or reflect those divisions with work that is “multivalent”, “richly ambiguous”, “that could deal with paradox and contradiction”, he says. Rugoff has separated the show into two discrete exhibitions, both featuring the same 79 artists, but with distinctive works by each of them. He will hope that when viewers “scan” his Biennale, they are as profoundly influenced and powerfully moved by it as many were by Enwezor’s endeavours.